Harrisburg, PA – Department of Community and Economic Development Secretary Dennis Davin today announced that new state investments through the Pennsylvania Industrial Development Authority (PIDA) program will help spur statewide development projected to create 103 new jobs and retain 197 jobs. PITTSBURGH, PA–(Marketwired – August 11, 2016) – This morning, US2020 honored Covestro LLC with its 2016 STEM Mentoring Award for “Excellence in Corporate Culture.” The national award recognizes Covestro’s companywide i3STEM program, which ignites young minds to become the innovators of tomorrow through hands-on science experiences and employee volunteerism. As an award recipient, Covestro will be participating in a White House STEM Mentoring Symposium later today. 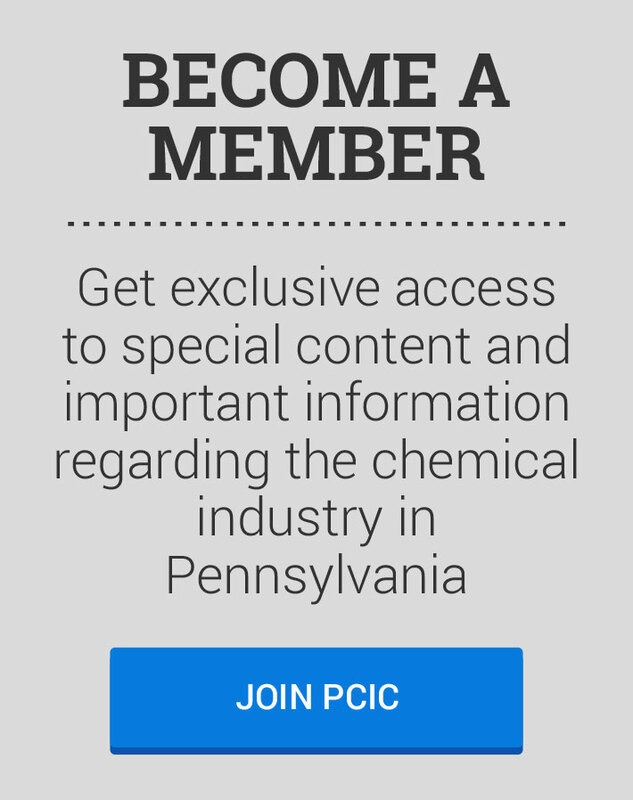 Members of PCIC filled the East Wing Rotunda of the State Capitol in May to connect with state decision makers and the public about the economic benefits of the chemical industry in Pennsylvania. Copyright © 2019 PCIC. All Rights Reserved.